As I mentioned in the earlier para……..life is all about equilibrium and balance. So the million dollar question is how does one do this….is there a technique, is there a secret, is there a method, how how how???? How does one tap into that Atman without losing sight of your goals of this birth. Dear readers, this a question which one of God’s devotees asked me through email recently after reading the post ‘Delusion’ and the posts that came after that. All these posts are closely linked with each other and there is one common thread underlying them which leads us to ultimately ask one final question- How can I know my true self? Instead of answering him through the medium of email personally, I thought it wise to write a post on the same subject since this kind of question may or must be arising in other seekers’ mind also. Many of us after reading self searching spiritual texts want to know how can our Atman be known. That should in true sense be the aim of an ideal seeker on his voyage of seeking, furthermore that also happens to be the exact essence of pursuing spirituality. If you have read the question carefully, there are two questions as I can see, that have been asked here and that there are two parts that need to be answered. First is- How to be in this material world and not lose connection with the divine and second is -How does one know Atman while fulfilling the divine plan and the integration of the two? Both the questions are interrelated and interdependent. The answer to how to live in this world is incorporated in the following text. As there cannot be one line answer to such an intricate question therefore I am going to tell in detail about the pre-qualifications, stages & process of knowing Atman, the three factors that play major role in knowing what is Atman and what should be our attitude and perspective towards our current life or divine plan and finally stages of ecstasy or divine bliss after knowing Atman called Samadhi. Before we embark on our spiritual voyage of discovery, I wish to share something with you. Although I knew quite a bit of what I am about to tell you, the fact is that the knowledge was scattered and lying unused somewhere. By writing this article I have organized and consolidated my knowledge, thanks to someone’s curiosity and quest. And I will like to tell you this post is very, very special and a sort of a landmark for me. Through this post I have been enlightened so much about the nuances, the fine details and elaboration of the undisclosed knowledge to the extent that I am going through raptures of ecstasy and breaking into phases of uninterrupted joy. Such has been the joy with which I have prepared this particular post. I have felt in some moments like a toddler who is delighted to discover the beautiful world around her!! Although one is familiar with the existing knowledge, nevertheless when your Spiritual Master with infinite compassion illuminates you, elucidates you further, one is delighted beyond measures. I knew samadhi was a state of joy and it was divine bliss and not a normal kind of happiness. But when I discovered during meditation recently about what exactly was Saurabh samadhi and the difference between the three states of samadhi, I was ecstatic for the whole day!!! Such is the power of the divine that He can give us unparalled happiness that does not belong to this world. and Swami Dayananda Shaligram of Ganeshpuri. I first of all bow down to them in all my humility and reverence. Swami Shaligram’s unlimited compassionate grace, personal touch in grooming me and continuous attention has made me richer and fuller as never before. My many, many pranams to my gurus whose incessant inspiration, light and knowledge has flown in me through their words, visions and gentle perceptions and has made this post a reality!!! I hope you will enjoy the sweetness of honey words that I have collected for you and will benefit in all possible ways. Devayoga or prarabdh. One must have it pre-decided in his fate and instilled in his destiny. By this is meant that the yogi or sadhak must already have earned so many virtuous karmas or bank balance in the past lives to enable him to qualify for this exclusive attainment. Without this accomplishment, the sadhak cannot attain this sacred knowledge as negative karmas act as a hindrance and deterrents in illumination. Daarun Prayatna or extra special efforts. By daarun is meant ‘great’ and prayatna means ‘ effort’. The seeker must have a very, very strong desire and will to free himself. He should be one-pointed and highly determined in achieving his goals and must not give up even if it takes a few lives to even come near knowing Atman. Those who try and give up easily can never succeed in their endeavours as it is time consuming & it requires tremendous unfailing patience. For purification the yogi does yagya, tapa, yoga and daan, charity in so many lives and in so many ways. Out of all these yagyas, gyan yagya is supreme. Salvation is achieved exclusively when we find Atmagyani guru who gives us knowledge of subtle Atman and we are finally thoroughly purified in the holy waters of his illuminating words and divine touch. The yogi gets success ultimately when he finds Atma gyani or self realized and mukt guru. Bhagwat Geeta speaks of two things– para, which can be seen and apara which cannot be seen. It is with the facilitator Atma Gyani guru that we can distinguish between these two realities and we can contemplate on the unseen, unheard yet ever present, omnipresent Atman. It is the divine guru who with his godly powers can wipe out the desires and dry up and completely erase the seeds of future desires- materialistic and worldly in nature . Erasing the seeds of dross & materialistic desires is like drying up the waters of the sea but the Atma gyani guru is adept and an expert at freeing bonded souls and can give us transcendental experience to easily relinquish all desires. 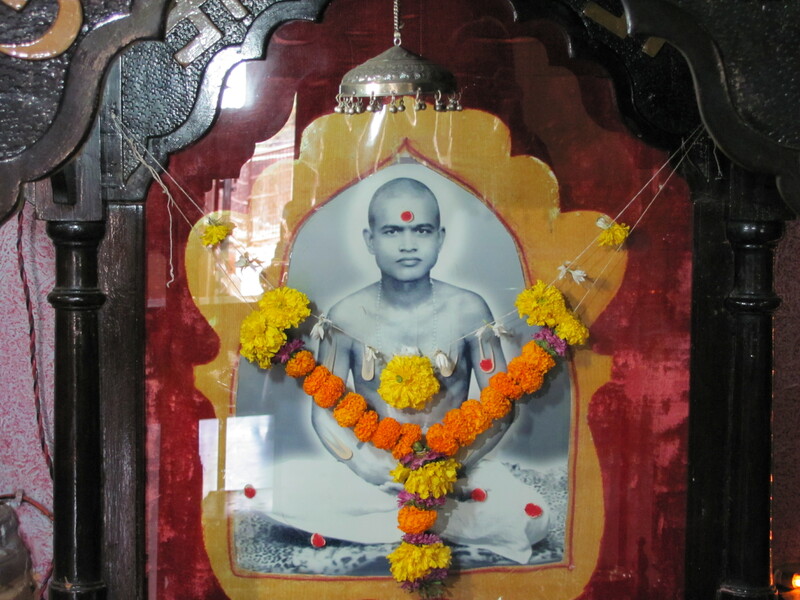 Sadguru kripa Grace of Sadguru. When human suffers in so many ways because of the impact of his own karmas, he cries. He cries to God with writhing pain to liberate him from his affliction, misfortune and distress. He begs God to free his unbearable agony and hopelessness. As God is very compassionate by nature we are eventually forgiven. He asks us to mend our ways and in return we promise to never repeat our mistakes. God cannot bear to see his children in such deplorable and sorrowful condition and has mercy on us for our disobedience, negligence of duties and careless wanderings that we committed from time to time, life after life. Besides this, those who have a clean and pure heart, who do bhakti towards God and Gurus, compel God to have mercy on them. If we have a serious desire to liberate ourselves, then it is God who decides which spiritual path should we walk on and who should be our Guru. God’s Grace then flows through the pre-decided Atmagyani guru. After which the chosen Master, who is an embodiment of God qualities dispels all our darkness and shows us light on our spiritual path without wasting any time. Hence, one can never know Atman without the help and support of a realized spiritual teacher who plays a very signifant role in transforming, moulding and divinizing our human nature. Those who are walking on the spiritual path should have complete faith, reverence and obedience towards the God ordained Guru. present karmas or kriyaman karmas. Prarabdh or present Fate – The karmas done in previous lives prove definite results and show a pattern in coming lives. The Guru takes on many of our harmful karmas on himself and starts the whole process of quickly getting over with our destiny. He prepares the student in combating and overcoming three combined forces that are at play in his life, without which the sadhak can never escalate and embark towards higher realms of wisdom and knowledge. Regarding the question that was put up in the beginning as to how to have a healthy balance of our life, so let destiny play its part and let it go on as each day new leaves of our fate open up. The yogi remains calm and unaffected by it and does not go to any extremes where sorrow and happiness in concerned. Have a non passionate and detached outlook towards your circumstances, learn a lesson from them and stay unaffected. The prarabdh karmas will come and go from time to time. We must remain calm without inciting any negative or disturbing emotions while they manifest and crop up. We can besides look at our destiny as our duties towards our family and other people. Perhaps that’s why Lord Krishna said, “Do your duties and overlook the fruits of actions by being dispassionate towards the outcome, good or bad whatever they be. Till the moment that a human being’s present life cycle gets over, the fate or prarabdh persists in its effect. So keeping the right attitude is necessary. Calming of mind and freeing it from all the turbulence and agitation. This sansara will go on and it will not function to our liking or according to our principles and moral standards. The impact of the outside sansara is only when we mobilize and activate our mind. If we know that the nature of the outside world is fragile, frenzied and disorderly, attempts should be made by the seeker to remain calm and keep the mind in a tranquil state and still the mind by not getting disturbed by the continuous changes that occur like waves in an ocean. And he must be aware not to get entangled in the sansara. People hardly change their basic nature, so why wait or expect positive changes in them? People have a tendency to repeat their behavioural pattern not year after year but life after life. So the gyani does not become sorrowful looking at the state of affairs and stays in equanimity in all dualities. Instead he diverts all the energies inwards and remains pure and tranquil in mind and action. His aim is to search and know God. He pursues God while performing all his duties and obligations with poise, equanimity and serenity. Sanchit Karmas or effects of accumulated undeveloped and unmanifested karmas . These were to be manifested in future lives. So we finish them now especially the negative ones. The Guru helps us to bear these karmas by undergoing and making us live in particular situations and conditions so that our soul purifies by clearing the dusty layers of ignorance and past misgivings. Though the disciple may whine and complain, the quality of obedience is very important in this situation. The disciple must have complete faith in his mentor and teacher. If the Guru does not burn the seeds of immature karmas, the negative effects are bound to affect in forthcoming lives. The best way is to pre -empt now at the behest and mercy of the omnipresent Guru. Kriyamaan karmas or going on karmas. The seeker has to remain vigilant keeping in mind the promise made to God and Guru by him not to err anymore and only do meritorious and charitable new karmas. When virtuous new karmas are continuously added to the pool of the existing karmas, a new strength and power is acquired by the practitioner which in turn propels him to quickly achieve his goal. A heart which is sacred and pure is the only place that can be called Devasthana or temple. Once Atman is known and the kingdom of God entered, it is an end to all human sorrows and affliction. Unimaginable profound peace and bliss which is inherent in Atman is achieved. Prolonged periods of ecstasy is prevalent in those who arrive at this stage. This stage is called Samadhi in the science of yoga. Jeevanmukt Samadhi After living in ignorance and darkness and after efforts of self transformation in many lives, when in one particular life, the soul is at last released from the compelling forces of cause and effects of his own karmas created of ignorance, he becomes conscious of his divine nature. In that life, the soul is free from all the mental agitation, anger, sorrows and tribulations and experiences unique tranquility and peace. After dawn of self-realization, the being experiences divine bliss of short durations. That duration prolongs as and as the practice of living in the Atman state or Chetna continues with continuation of Yoga. Such a person is called jeevan mukta and his stage of development is known as jeevan mukta Samadhi. 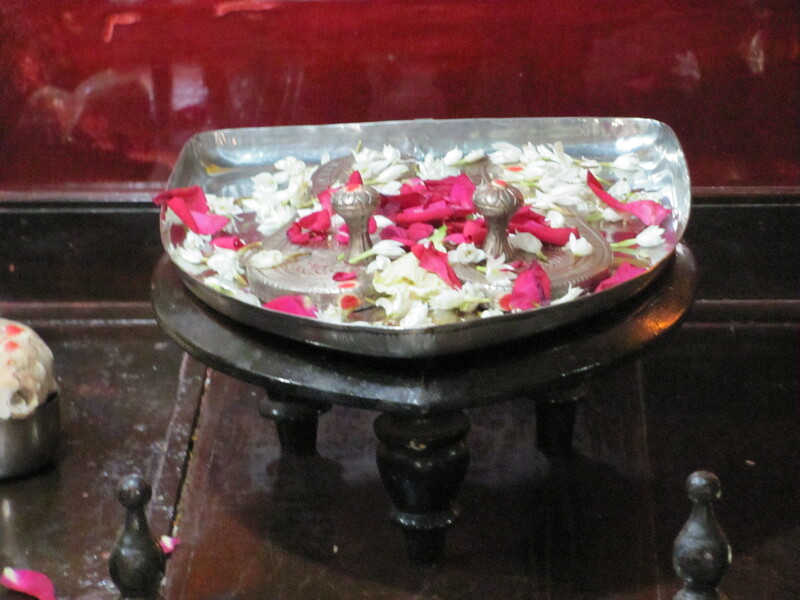 It is also called nirvana, turiya avastha or kevalya dham. Nirvikalp Samadhi is a thoughtless, breathless state where the heart, lungs and other internal organs cease to function for some time. The yogi now has full control over his body called prakriti . To remain in a thoughtless state, he disconnects the breath or prana; consequently the mind stops completely from its nature of stirring. This state or Yogastithi is a very distinguished state and achieved by few. Hence we call it nirvikalpa samadhi. Such a soul who is freed in one particular life is reborn and reincarnates as a very remarkable soul. Since childhood he show signs of extraordinary skills, talents, intellect and possess unusual wisdom. Most of the brilliant Masters and great souls fall in this category. They fall in deep spells of bliss and ecstasy at a very young age and childhood because of spiritual attainment earned in lives gone by. Some well known achievers of great spiritual feats that I known of- Sri Ramakrishna Paramhansa, Paramhansa Yogananda, Baba Gorakhnath, Raman Maharishi, Anandomayi Ma in Bengal, The Mother of Pondicherry, Swami Nityananda of Ganeshpuri and many more illustrious souls. In such souls, the Chetna or Divine Consciousness is very acute and remembrance of past life memories is reflected in their current lives. Highly illumined souls have a very sharp memory, their imagination is very vivid and perceptions crystal clear. They stand out from the general masses in being extraordinary in every sense and hence also misunderstood and mistreated. These souls are able to liberate a mass of people as they have immense spiritual knowledge and powers or siddhis accessible to them. They have great missions to accomplish on earth if and whenever they come and it is our great luck if we ever get a chance of knowing them as we shall be cleared of our sins and misgivings and be liberated forever from the chains of birth and death. Saurabh Samadhi Highest and a deathless state where the body while the person is still alive becomes immortalized by not decaying, not aging and becomes irreversible at a very tender age. This most rare state of spiritual attainment is achieved with very intense tapasya of mind and body over a very, very long period in many recurrent lives. 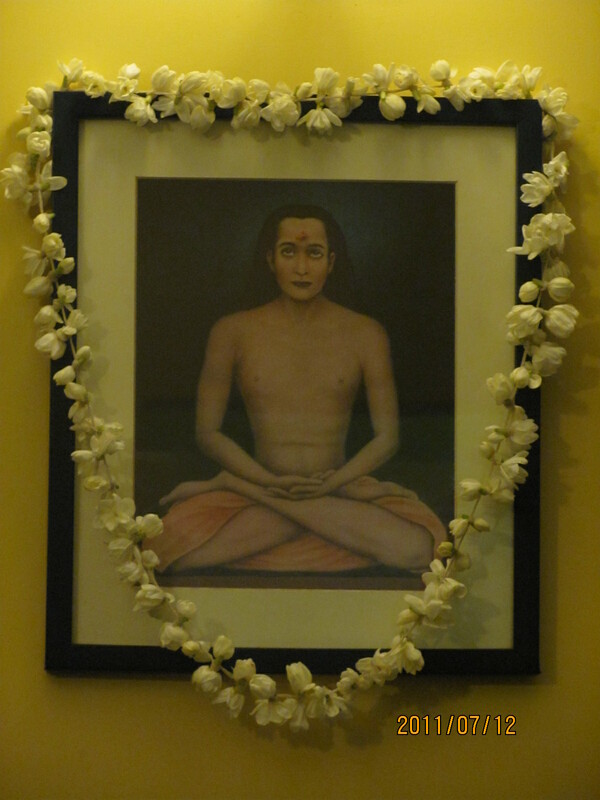 Some known examples are Shri Mahavatar Babaji and rishi Boganathar, Maharishi Agastya in the past. This entry was posted on Wednesday, November 10th, 2010 at 10:19 pm and is filed under Uncategorized. You can follow any responses to this entry through the RSS 2.0 feed. You can leave a response, or trackback from your own site. 21 Responses to How does one know Atman? To achieve the balance in life between the materalistic world and spiritual world one needs to have a very strong will and unstopable blessings by great Guru and God but if some one wishes to progress in both the worlds,is his/her thinking is partial? I mean if we wish to have spiritual bliss and also wish to have a sucessful life, are we baised more to materialistic world. In todays world where we live in society we do expect certain attitudes and behaviours from ourselves and we cant completely neglect our materialistic needs but we also dont wish to loose our connection with God..How do we justify ourself? Dear Garima, pursue both aims but without any fears, undesirable feelings and worries. Excel in everything that you do and when the right time comes, you can pursue what you like best- spiritual attainments. Try to remember God whenever you can, devote some time in doing some good acts, do charitable acts and learn concentration with right technique. Reading the blog and finding your answers is also a type of sadhana, continue with it. You will not lose connection with God. Earning your living honestly is also our basic need to live, so balance everything well and rest all should be fine. Thanks a ton for the reply. So if I am going through a low phase in my life, it maybe due to something I have done in my past lives. So I should not try to escape from this low phase situation but be in it, go through it, let it play it’s full part and once it’s done, Sunny days are waiting for me ahead. Is that right Sarikaji ? Dear Shahid, I am pleased to know that you have read this article; I hold it so close to my heart. You could say that for years I was yearning to know all this . I attempted and endured in many years to get there and you have got to know all that in one post! So pay attention to each and every word that I have penned down in this marathon post, it is a liberating post.I wanted to know for years why is the shloka-kamanayadhikaraste of Bhagwad Gita……so vital? Why is Krishns laying so much stress on karma etc. After a long time I realized that it is our destiny that we have created in the past that we see today, what else can it be, if not that? But the gyan and art of knowing how to handle the past which is reflecting in our destiny today needs to be accepted well and also handled wisely. This is the catch you see. Some negative movement created in the past has made the picture unpalatable and difficult. Nevertheless, by proper dealing of the situation, it can be erased slowly. Do mahamritunjaya japa for about three weeks and let me know. The answers to other comments follow soon. 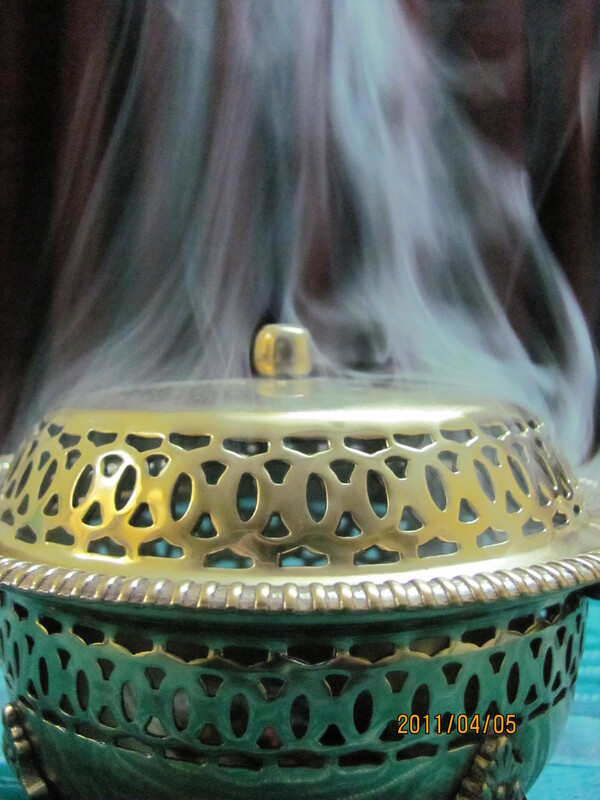 The mystic photos were taken by me one evening when I burnt luban. 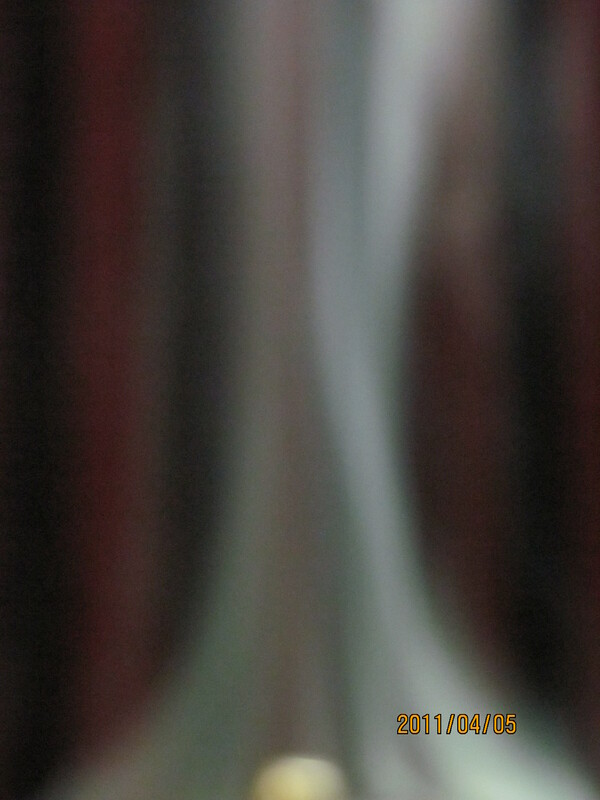 When the smoke was rising up, it created ripples in me and I took its photos. Thanks for paying minute attention and I like them also, they are indeed mystic. This is indeed a Liberating post. Thank you for the information regarding those mystic pictures. Yes, shall do MahaMritunjaya mantra for 3 weeks and get back to you. ma, one of yor comments i have read to tell recite Maha mrithyunjaya mantra, is there any particularity ?.. @Midhun, All ,mantras have some specific divine energies. Mahamritunjaya mantra has the ability to eliminate fears that we have of this life on Earth- that of dying and death, sickness and losing our hold over things. It also gives us the power to eliminate the evil forces’ act on us. If we pray and chant this mantra for others or the Earth, the healing and rejuvenating vibrations embedded in the mantra surround that person and the destroying energies are elimimnates. Dear Resham, you can chant this mantra anytime you like but with devotion and concentration. thanks ma, i got it. Sure, thanks for answering Maa. love to read this again..the name of the post itself attract to read this again.. 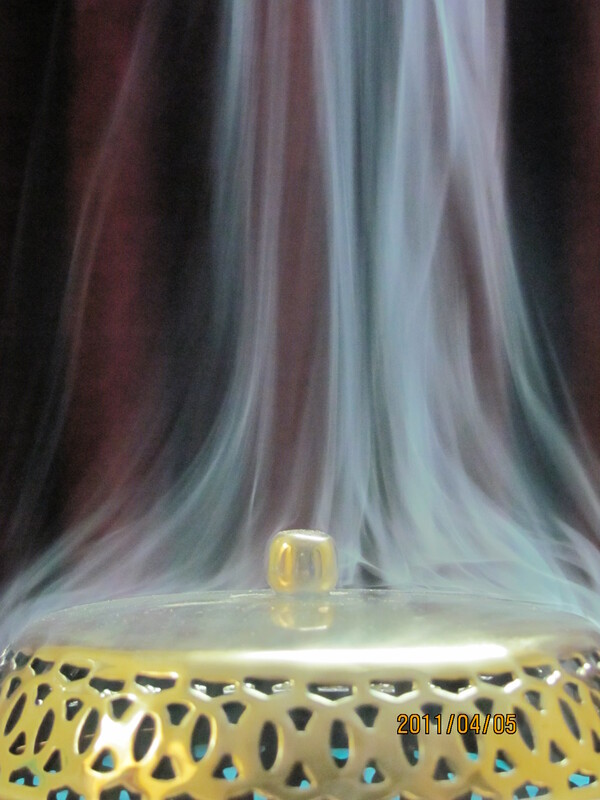 This article is very informative and provides a guidance to all seekers. I read all the comments and your replies and got answers to many of my questions. I am trying to establish a balance between my material life and spiritual life. I am sincerely seeking God in this life. This post has helped me a lot by clearing my various doubts and by showing me the right direction to pursue. Thanks Ma for sharing this sacred knowledge with us. My dear Supriya, this post is the turning point on the blog and one of the most important posts. This portion is very important. Sadguru kripa or Grace of Guru. All of my life until this point, I wanted to know this paramount secret. I finally came to know from His Holiness Swami Nityananda of Ganeshpuri. Prior to that people told me various things but nothing very convincing for my beliefs really. So read this post several times, even after 5 years or 20 years, this is so important for a seeker. It is a very clear and distinct road map to liberation. The posts after this get escalated because it is the first stage from where I started speaking about Prabhutva Gyan or very blazing knowledge. So treat this article as very blazing knowledge. Learn a lot from it. God bless you on this sacred path. Yes Ma, as you said this posts indeed is a turning point for all the seekers on the spiritual journey. You have revealed many secrets here. This knowledge is really sacred and invaluable. I will read it again and again with all my dedication. I also read “The process of liberation” after reading this “How does one know Atman?” article. After reading “The process of liberation” post, I don’t know how but I am feeling contented (trupta, samadhani) in all aspects of my life. I have feelings as “I am grateful to Almighty God, my Gurus and holy masters for giving me this beautiful lifetime opportunity. (this birth)”. Ma, I will keep reading and understanding these posts to attain the sacred and holy knowledge. Ma, thanks a lot and grateful to you for you guidance.